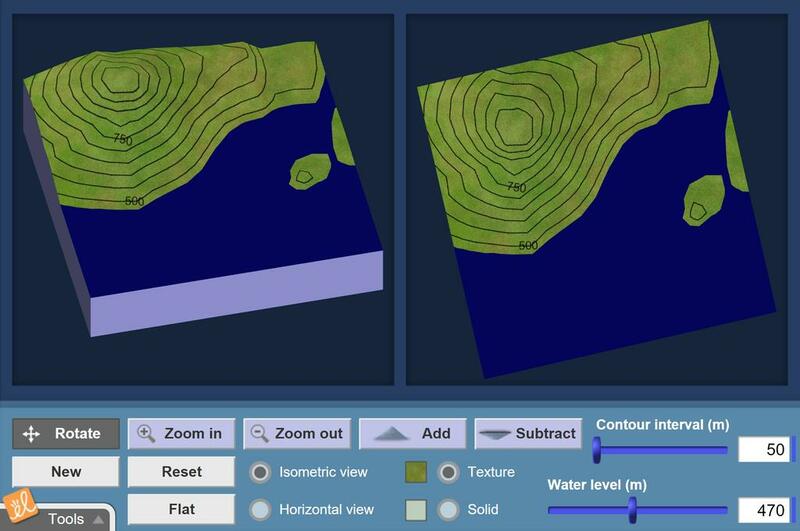 Understand how topographic maps work by creating a three-dimensional landscape and observing the corresponding contour lines. See how mountains, depressions, valleys and cliffs are represented on topographic maps. Fill in the landscape with water to demonstrate that contours are lines of constant elevation. The Student Exploration sheet mentions hachured lines but there is no way students can put them on their maps! Need hachured lines! Does not address the connection between reading the topographic map and how weathering and erosion causes it to change. Excellent Gizmo for honors 8th grade science. Challenging for them, but not too challenging. I was pleasantly surprised as I observed my students grasp the concept of topographic map reading; even those with low reading skills. Really helped students visualize what a topographic map represents!